Nocturnal Media will assume most of the role traditionally associated with a publisher, including sales, marketing and inventory. All of the games with be co-branded with Nocturnal Media and the game’s designer. Games already available from two of these creators are now listed on the Nocturnal Media publisher page on DriveThruRPG.com. This includes Tobie Abad’s TAGSessions and Ben Woener’s Woerner’s WonderWerks. In fact, until the end of June, enjoy 20% off two fabulous Asian-inspired games by these two creators. A Single Moment by Tobie Abad is an RPG for two players. The two samurai stared at each other. Once they were friends. Brothers. But time has come for honor to be regained, and vengeance to be unleashed. Footing adjusted. Grips tightened. Eyes narrowed. 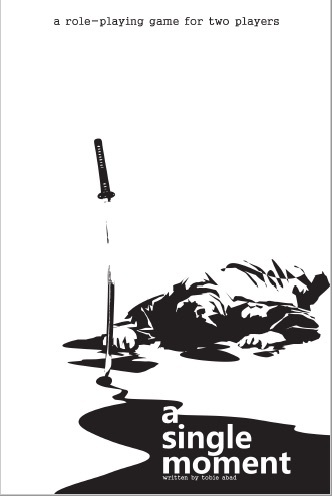 A single moment and it was over..
World of Dew by Ben Woener is a samurai noir game inspired by Japanese chambara films like The Seven Samurai, Sanjuro, and Memoirs of a Geisha. You play characters that can be dastardly yakuza, cunning geisha, jaded police detectives, or gaijin smugglers in noir cities with rain slicked streets and bodies floating in the gutter. Both of these superior games deserve your attention! Over the next few weeks, we will interview each of these creators, showcasing their upcoming games, what brought them to the industry, and the exceptional talent each of them brings to the table! These interviews will include previews of two upcoming 2017 projects, Pulsars by John Kennedy and Gears of Defiance by Ryan Schoon. Both of these games will seek funding on Kickstarter.